The Bee soft sole with rose leather upper featuring a smiling bee appliqué design is a super cute shoe. With great colours and sweet design this little bee helps engage the child's imagination! This style of shoe allows for unrestrained movement, whilst also offering protection from the elements. 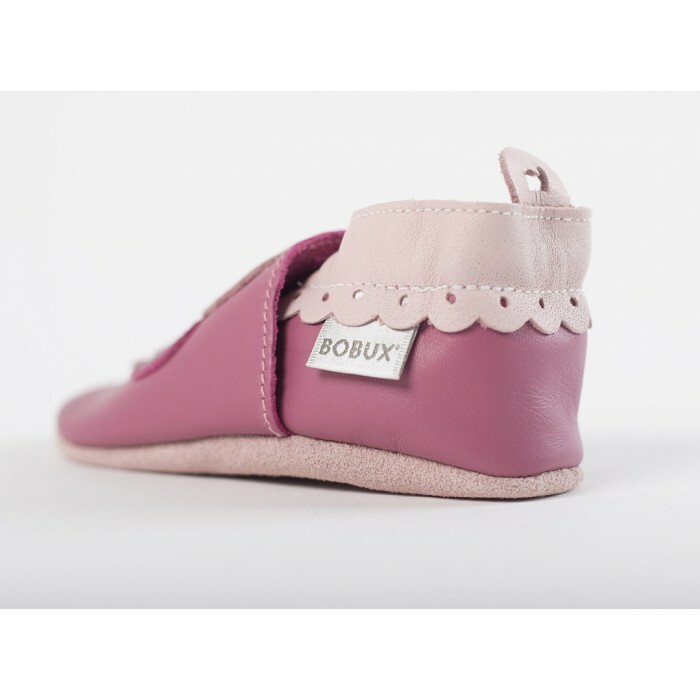 All classic Bobux Soft Soles feature a great elastic opening which is designed to be easy to get on- and stay on! The pink suede sole also provides a great non-slip surface so your little one can move around safely.